♥.•*¨Author Elizabeth Mueller¨*•.♥: Party with ME ! ! ! I have a soft spot for the month of May. It's the special time when I'm a year older! I want to do something fun for you. A thank you, if you will, for being my friends! 3 entries: blog this post! Guess what? That's not all! The special day is May 13th. *Grinning* For those who've entered before or on that date, I will double your entries up to that day only--14 possible entries at this point! (Midnight Pacific Time). Entry counts go back to normal after. Friday Guest was David J. West! Great contest! I'm here for the first time but I'm going to become a follower right now! My email is talliroland AT gmail.com. Happy May and have a great weekend! I do like a good party! Happy May month to you!!!! Happy Birthday! I miss you guys so much. Especially this time of year because it reminds me of summer nights spent down the street, drawing etc... Anyway. I'm also a follower, of course. See you in a bit! Great contest and good luck with it. Also, have a great birthday and an awesome birthday month! How fun is this! I tweeted it @MTeacress. I'm already a follower on your blog and here is my comment. I'll go facebook it too - even if it doesn't win me any more chances. Remember Nacho Libre's quote? "I wanna WIN." (pronounced "ween") HaHa. okay, so i'm following, commenting, and i'll post you on facebook too :) HAPPY BIRTHDAY on the 13th Girly! Happy Early Birthday Elizabeth! What a fun contest idea. I haven't actually seen Avatar yet (I know, don't judge me), so I NEED to win this! I'm a follower, here's my comment, and I blogged about it. That's a total of 5, right? (I don't have facebook or twitter, sorry.) Plus I get double, for entering early? 10 points? How cool is that? So why aren't you going to be posting in May? I'll enter your contest. Let me get going on it and then I'll pop back and give you my score and HAPPY BIRTHDAY! Hey Melissa! Well, I have about 8 posts waiting to post, but they will push this down. I know, maybe there's a simpler way, I just don't want this to be missed. *Sigh. Hi Eliz, oh queen of the bloggers. Yes, I follow your blog. Happy Birthday and have a nice vacation. What a great contest--and an excellent day to celebrate life. Julie Wright and my brother in law have birthdays that day too :-) I'll post on my twitter/facebook too. Awesome blog! I just became a follower-- thanks to Josi's post on Facebook. :) I'll email my email address. Elizabeth - I found your blog through Cheri. I'm now a follower. I FB'd it and blogged it. My email is: rashelleworkman@gmailDOTcom:). BTW, I'm blogging it too. I'm already a follower so sign me up for the contest. Plus I've blogged about it on my site. Those goodies make my mouth water! Happy upcoming birthday! I am a follower now. Count me in! Four entries. This is beyond cool, Elizabeth!! I want to be Avatarized! And all the candy? Oh yeah. Count me in. I don't know that I'll have a chance to blog it. If I do, I'll come back and get my 3 extra entries! For now I'll just add you to my sidebar and I'll facebook it! Way awesome. Happy early birthday, by the way! Oooh...awesome contest and prizes. I'm now a new follower and I will tweet your contest, and blog it. Okay, girl. I'm a follower and I tweeted and Facebooked. I will try to get it on my blog this week. Don't let me forget. HUGS!! And happy birthday, early. Great contest. And Happy Birthday! (You're b-day is May 13? That's my mom's birthday, too.) I'll twitter this, so I think that makes four entries for me! Hi Angie! I love May 13th. *grins* Always have! It's a wonderful time of the year! Happy (Early) Birthday Liz!!! I would absolutely <3 winning your gift package, especially the avatarization of myself. How wicked cool is THAT? Hope you have a great Birth Month!! Happy Birthday Girl!! I am a follower and am commenting to tell you how awesome you are! Plus my son is drooling over your wonderful prizes! Hi Nikki, thank you! It's so nice to see ya here! Your son is so cute! I'm a follower, I will try to remember and post about this when I'm done with my birthday giveaway because I want more chances at those goodies! I want peanut butter cups so bad!! Cool! sounds like a part6y for your birthday! And that sketch drawing ROCKS! Count me in for this dealio, K? I facebooked this AWESOME Birthday contest! My email is oneclutteredbrain AT gmail DOT com! I'm a first-time follower and although I will make a pretty ugly Neytiri, I'm in! I had been meaning to follow your blog. This just ended up being the excuse I needed to finally act. Aha! I finally found the contest. Yeah, I'm a little dense at times. I am a follower and I will post this on my facebook page. You're such a doll. Oooh, nice. I want that package bad. :) I'll post this contest on my blog next week. (I'll come back and let you know when I do). And I'm already a follower. And how super fun to draw people as an Avatar. Awesome Lizzie. You are so giving. And Happy Birthmonth. Hi Amber, thank you! It's nice to see you! +2 I'm a follower! What an awesome contest! Hey There! I'm already a follower, I facebooked and blogged about it and now I'm leaving a comment. That's 8 points. Doubled today....ta dah . . . 16! Woo hoo! Weird, I thought I was already following you. Hmm, well I fixed that. Sorry I missed out on the avatarizing. LOL. I just started following. This sounds like fun. what a fun contest! Am I following you? If not, I will be! something I've done? did I read that wrong? Let's see. I've been to the Christ statue in Rio de Janeiro, Brazil. What a great idea! 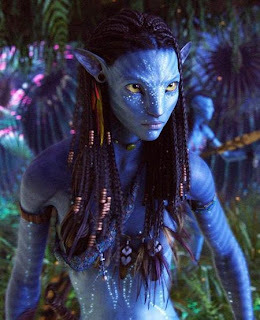 I love movie nights and I've yet to see Avatar, so I shall enter and TWitter about you! Also followed...good luck to all! So glad to have discovered your blog! 3 entries - new follower and comment! Elizabeth, this is the best contest! How much fun :D I'm following!! Hi Tamara! Ooooh, Bazil??? How fun! I wanna go! I hope you had a wonderful birthday - I'm sorry I'm a little late! I just became a follower, and my email is susanfieldswriter(at)gmail(dot)com. I'm a follower. Thanks for doing this! Wendy, I bet a writer farm girl would have tons to write about, I know I'd want to know! I blogged about your contest today for some additional entries. What a fun way to celebrate! Happy Birthday! (sorry I missed the day). So +2 for being a follower and commenting; +1 for adding up the entries, and you are on my contest sidebar (janetsumnerjohnson.blogspot.com), though I don't know if that counts as a blog.